Escape the hustle and bustle of the city and find a tranquil garden in the heart of the city. You can see the spires of Oxford and the punts going down the river from Magdalen Bridge and have a fabulous view of a the cricket pitch. This is the oldest botanic garden in Britain and one of the oldest in the world! You can follow in the footsteps of Tolkien, Lewis Caroll and Philip Pullman, all of whom drew inspiration from this little garden. £5.45 for a ticket, you can easily spend a couple of hours pottering around, picnicking, sketching and taking photos. The website tells you which plants look good now so you can plan your visit and they also give handouts when you buy your ticket. The garden was often visited in the 1860s by Lewis Carroll and the Liddell children including Alice (who is said to have inspired the main character from Alice in Wonderland). The Garden’s waterlily house can be seen in the background of Sir John Tenniel’s illustration of “The Queen’s Croquet-Ground”. 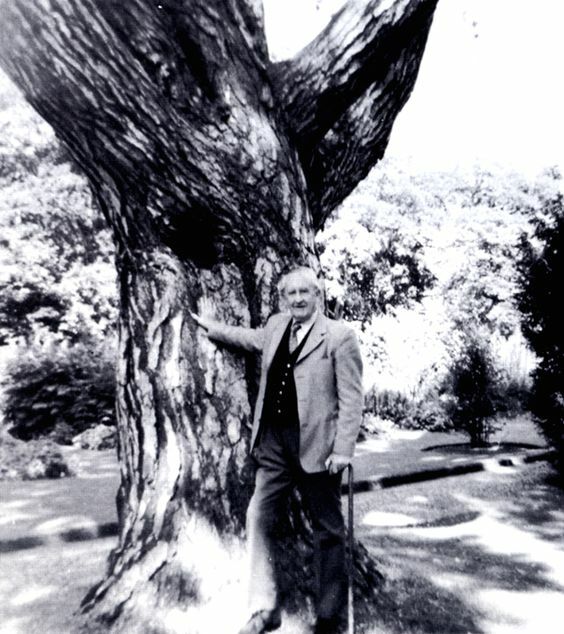 The last known photograph of Tolkien, taken by his grandson Michael on August 9th 1973. In Philip Pullman’s His Dark Materials, a bench in the back of the garden is one of the locations/objects that stand parallel in the two different worlds which Lyra and Will, inhabit. In the last chapter of the trilogy, both promised to sit on the bench for an hour at noon on Midsummer’s day every year so that perhaps they may feel each other’s presence next to one another in their own worlds.